The Corona Museum needs your help! Museum volunteers are seeking photos for a new Pioneers of Corona display, focusing on the people and events that shaped our area, roughly between 1880 and 1920. 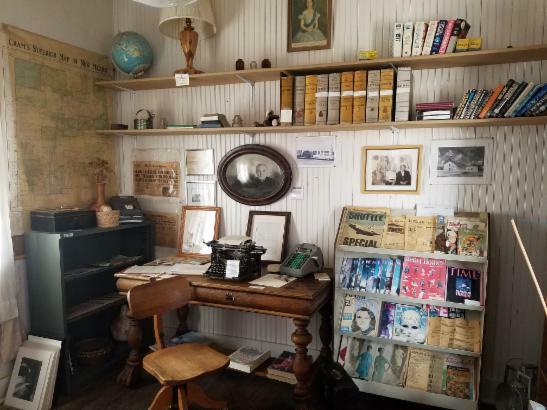 The Corona Museum showcases the area's history and culture, dating from the first Spanish settlers to the 1850's stage line and the arrival of the railroad and establishment of the Village of Corona in 1903. Displays track the daily home, business and civic life of the pioneers who ranched, farmed and built a community together in historic Lincoln County, in the very heart of the state of New Mexico. The Museum was established, and is still maintained, by a team of volunteers who give of their time, belongings passed down over the generations and, mostly, their love of the community. The building underwent renovation during the winter of 2018-2019 and the exhibits were updated. The Corona Museum will be open most weekdays for the summer season on May 1, 2019. Tours by special appointment are also available by calling 505-219-7595. Read more about Corona's history. 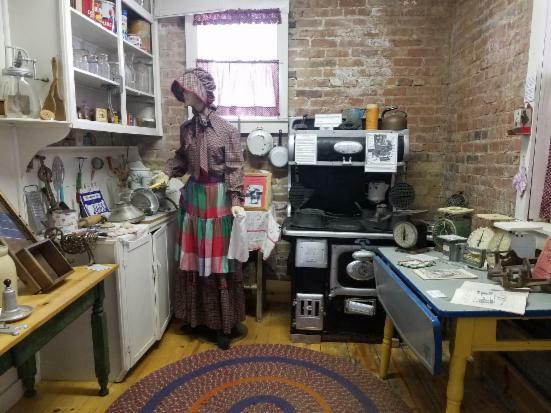 A typical pioneer kitchen is among the displays recreated at the Corona Museum.